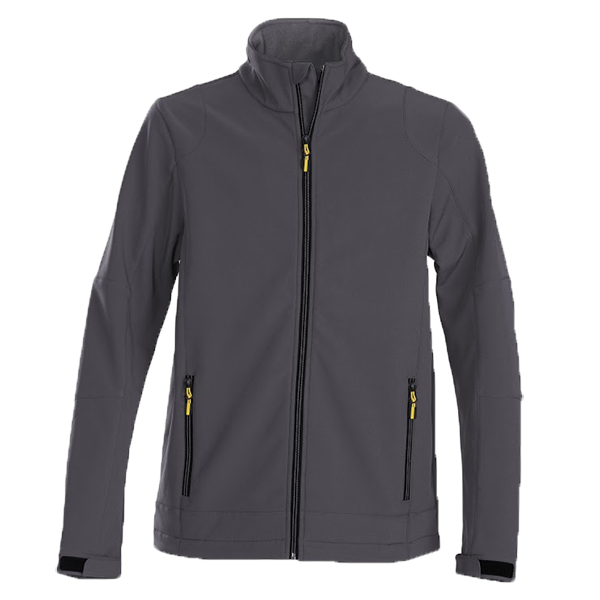 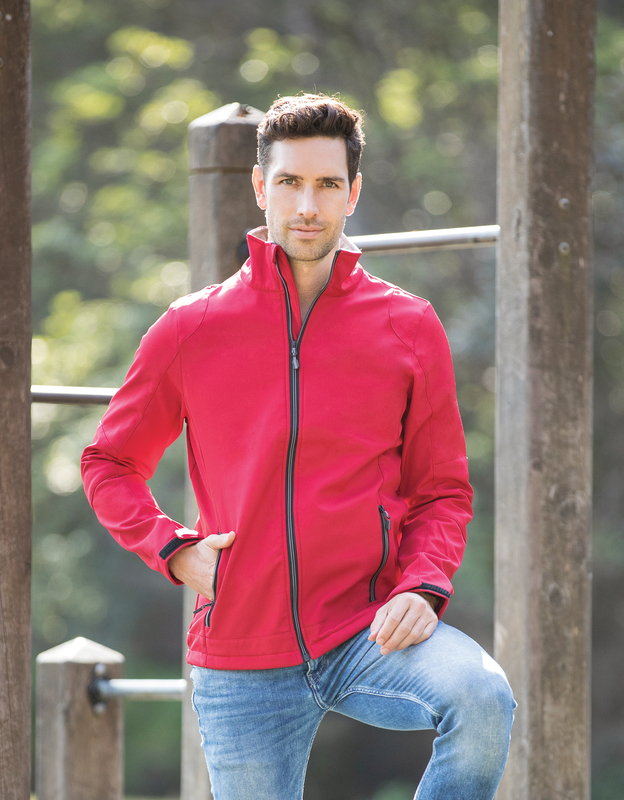 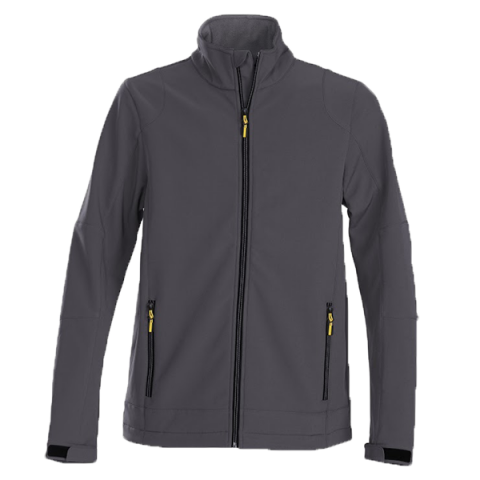 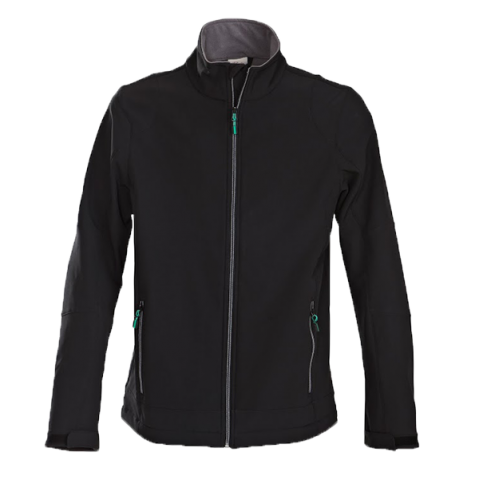 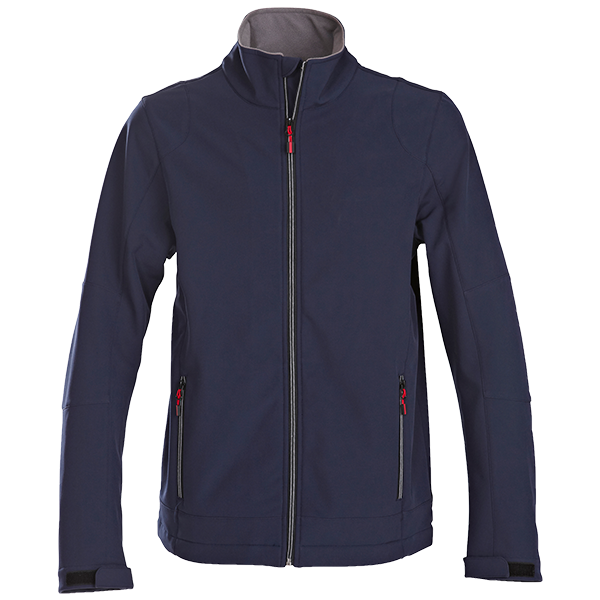 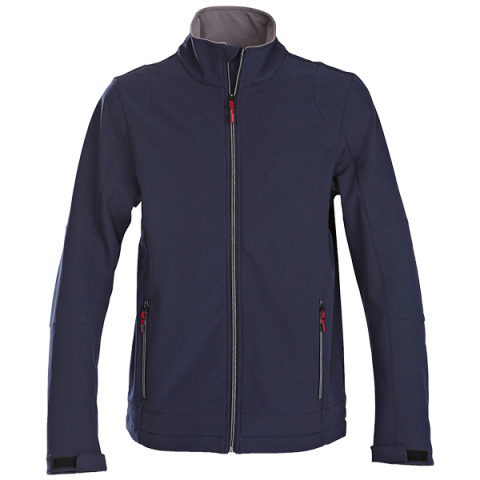 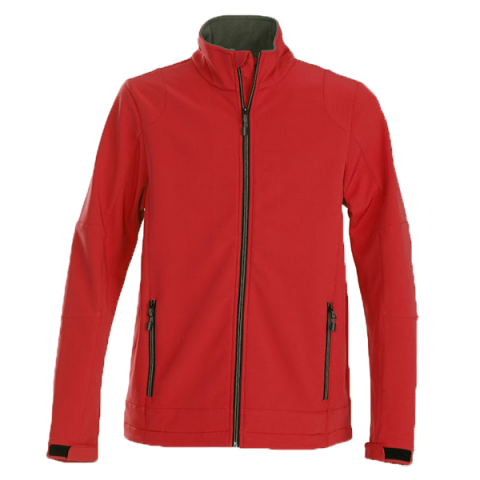 Unisex softshell jacket with two-coloured zipper at front and pockets. 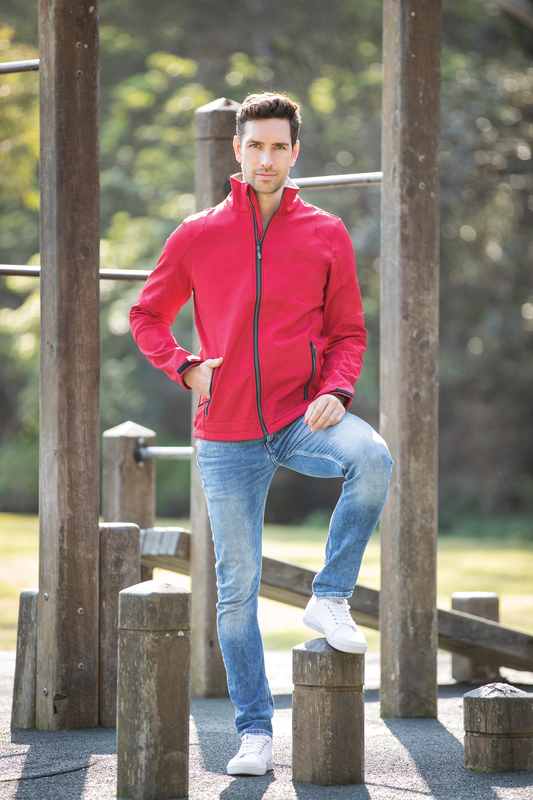 Adjustable cuffs with Velcro® and drawstring at hem. 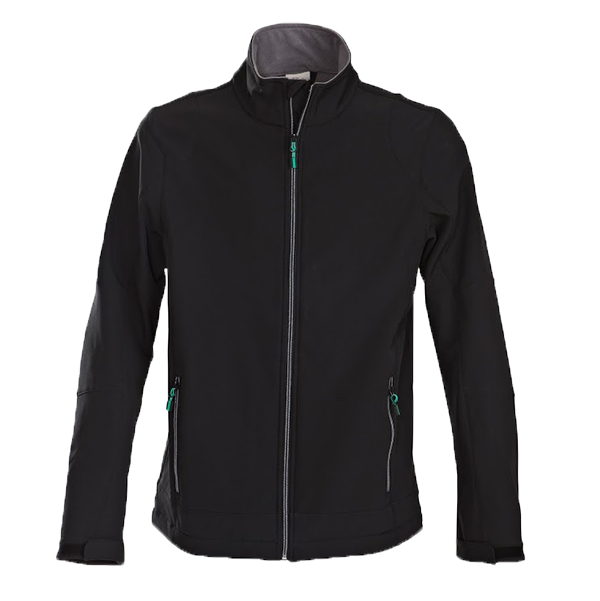 Nylon lining inside the sleeves.